Mount Bandilaan is the highest point of Siquijor island, 632 meter above sea level and is not very difficult to reach. In fact it is nothing spectacular comparing to the mountains and peaks on other Philippine islands or somewhere else in the world, but worth to visit. Tourists usually visit Mt. Bandilaan National Park on their way to Cantabon Cave or just during the trip throughout Siquijor mountains and mountain villages. People stop there to climb and reach the viewing platform at the top. There is pavement leading to the platform, so it is easy to find and the climbing itself takes about 20 minutes from parking area. If you do not drive scooter and do not rent tricycle, there is always possibility to climb the mountain from the town Siquijor. It is about 10 km walk through amazing coconut trees forest and then real jungle. Try to find a tour guide who will take care about you during this trip and you will never regret. Once you reach the Mt. Bandilaan viewing platform you will spot that – unfortunately – high trees cover the view of most of the island, however it is still worth to climb and catch few amazing views on the sea and the jungle, accompanied by intriguing sound of crickets and many birds. And what is most important, that is perfect place to be during hot days as the Mt. Bandilaan National Park is full of old trees ensuring pleasant shadow. You will definitely enjoy fresh and cold air. Near the path to the top there is a picnic area, so why not to use that space for lunch? Both the way to Mt. Bandilaan and the place itself are spectacular and all nature lovers will be impressed. Mt. Bandilaad is significant culturally and Holy Week is the best time to visit that place. That time healers and shamans from surrounding villages bring herbs they collected the whole year, cook special mixture and perform their rituals. Everyone may benefit from their services and experience in real what Siquijor is famous from for ages. Numbers of Christian pilgrims visits Mt. 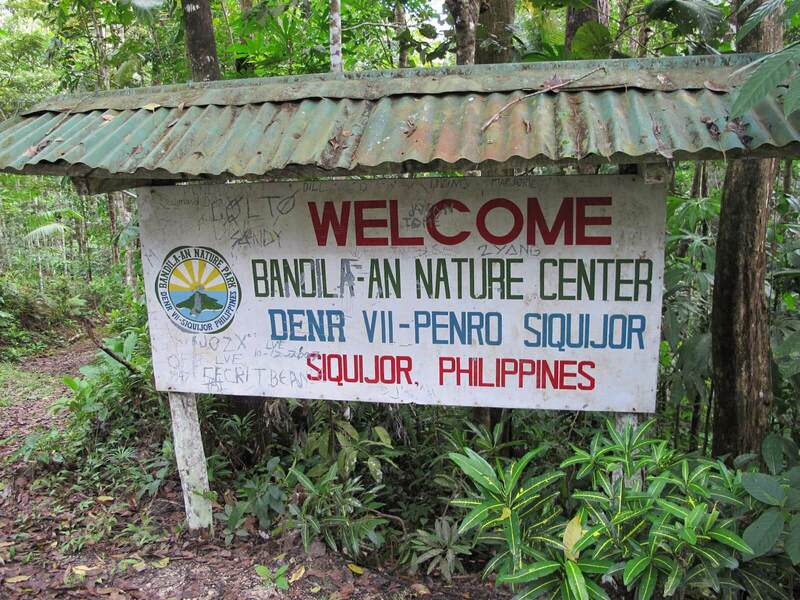 Bandilaan National Park during Holy Week and take the walk to the cross station on the top. These days it is extremely lively place with lots of events from early morning till the evening and also overnight. There is campsite available for visitors bringing their own tent and willing to experience as much as possible. Next Article Driving licence in The Philippines – how to get it?